There are plenty of reasons to worry about growing old. You can feel invisible in a world that caters overwhelmingly for the young. Your body can let you down. You can end up driving a Toyota, or a Kia. And you have to put up with people patronising you silly while trying to sell you overpriced rubbish. Take a bow, Sagem, and take a bow, Broadband Computer Company. You've both sat down and thought, "Hmmm! What can we make for the generation that invented the personal computer, the internet and most of the technological innovations we take for granted as they move into their twilight years?" The answer you came up with was "Expensive crap a toddler would find too simple." Nice! 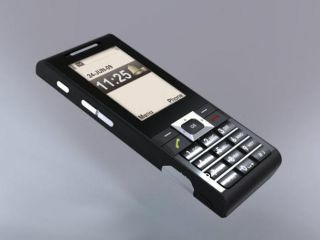 Sagem's Cosyphone is aimed at the over-50s. Not only does it have really big buttons and numbers, but it has near field communications technology, too. Need to call somebody? Why not wave a big picture of them in the air, like a simpleton? "It uses cards, which can be customised with a photo or other information and pre-programmed with the number of the doctor's surgery, or a friend or relative. To make a call, the user simply "waves" their phone over that card to speak to that person or send a text message." Remember, this is a phone for the over-50s, a group that includes such drooling basket cases as Sir Tim Berners-Lee, Bill Gates and Chuck Norris - people who continue to do amazing things and who can kick your face off if you look at them funny (well, in the latter case at least). Meanwhile the Broadband Computer Company has Alex, a system for novices and people scared of technology. For a mere £399 and a further £9.99 per month for technical support (or £24.99 per month if you'd like broadband, too), you too can have a low-end laptop running Linux with an ultra-simplified front end. Amusingly, the available technical support includes technical support by post. Don't use that option if the laptop's on fire. We're sure Alex's intentions are pure, but it's quite a lot of cash for what's essentially Google's Chrome OS with a Fisher-Price makeover. It limits users to specific hardware - printers are only supported if they're listed as "approved" in Alex's literature, for example - and it could easily leave its users in a technological cul-de-sac if the parent company goes bust. Our big concern, though, is that Alex isn't simple enough. There are genuine considerations for older users - Windows, Linux and Mac PCs really haven't nailed the combination of simplicity and accessibility that older users really need - but we're not convinced Alex addresses them. The Broadband Computer Company says it has started from scratch, but it hasn't. If it had really reimagined the PC from scratch, it wouldn't have a mouse; it'd have a multi-touch screen. It wouldn't have taken the familiar Windows-style interface and made the buttons bigger; it'd have removed the buttons altogether. It wouldn't have stuck with a no-name laptop running a thinly disguised Linux; it'd have a whole new form factor, with a whole new OS. It'd have come up with something awfully like the iPad.